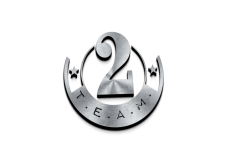 2 Team Artist Affiliation - 2 T.E.A.M. ​​﻿Rochester, NY native, Sir Jay aRe is one of today’s most diverse MC’s. ​Sir Jay aRe is a singer,songwriter, producer, & musical engineer. Inspired by people, he continues to reinvent himself and his tracks to appeal to the masses. With an edge and ability to sing, rap, produce and engineer, the possibilities are endless. ​D.I.M.O.N.I.Z, her name meaning "Delivering Intensive Motivation Over Negatively Impacted Zones" was raised in Kinston,NC and is newest member of 2 T.E.A.M. She is a multitude of talent bursting with creativity. As an MC, a model and actress- she defines a modern day triple threat. From her stylish attire to her edgy roles, she is unafraid to show her charisma on film; whether in action or still shots. Having a military background; her music reflects a more disciplined sound evolving D.I.M.O.N.I.Z into a dynamic individual. She leaves her audiences raving for her music, acting and style.